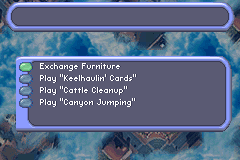 This game has unused modes / minigames. This game has unused cinematics. Daddy Bigbucks wants to produce a TV Show about the life in Strangetown without the knowledge of the residents, with you as the protagonist. What mysteries will you unravel? Perhaps things that where never meant to be seen by an ordinary individual. Because, you know... there are unused and stuff. A list of episodes sorted by their ID. Unused episodes are highlighted in bold. 0 It All Began The dawn of a new season. Maryland Summers shows the new star around the set. Description is unused. 2 <Episode deleted> <Episode deleted> The title and description says it all. 4 Giuseppi Was Framed Giuseppi is in jail, charged with a disastrous crime he claims he didn't commit. Can you find the guilty party and restore dignity to the city? Nothing seems to be left of this episode. 9 Cult of Personalities A secret society wants to welcome your Sim into their fold. Follow the mysterious stranger's instructions to get into this select group. Nothing seems to be left of this episode. 11 Rage of the Sasquatch Kent Hackett is single-handedly trying to shut down the Strangetown zoo. It's up to your Sim to ensure that the zoo stays afloat. Nothing seems to be left of this episode. 12 Looking For Chaz Dastard A sci-fi convention sparks a petrifying outcome when your Sim seeks revenge for Kent Hackett's harsh words. Nothing seems to be left of this episode. 14 More Birds Penguins attack the town in a nod to Hitchcock. 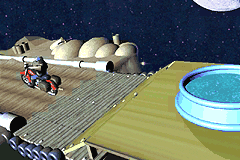 A penguin is briefly visible in the saloon, and the farm has some kind of pressure plate on it. It makes a noise when stepped on. 16 Shark Jumping The player takes on the role of Dusty Hogg in his quest to make the ultimate jump. A dummied cutscene seems to have been intended for this episode. 17 The Captain's Curse Pepper Pete's long lost ancestor visits him, telling him of a buried treasure. Nothing seems to be left of this episode. 18 The Earth Was Hollow The salt mines reveal an entry into the earth. Nothing seems to be left of this episode. 19 Misty-Eyed Party Misty finds herself plagued with bad luck after she fails to send out a chain email. See if you can shift her luck and get her birthday party back on track. Nothing seems to be left of this episode. 20 Save Strangetown! Daddy Bigbucks is planning his most vile trick yet... but the secret of Strangetown won't be a secret for long. There are several NPCs, but nobody has anything to say. You can ask the Mummy for an errand. 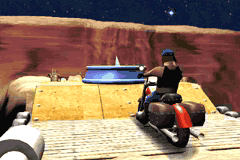 The received item can be given back to him to complete the errand. 23 We Never Finished This Episode The "lost" episode. What the title says. Parts of the map the camera never moves to. Usually the unseen parts of a map are quite uninteresting and mostly consist of a black void. But the zoo is different. 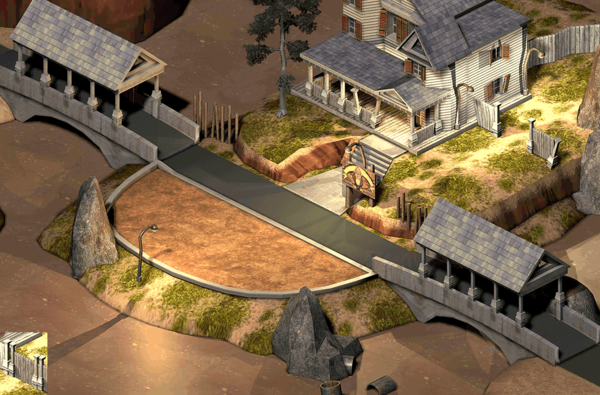 The outside area is fully mapped! Large parts of this dried out river bed are never seen, including those pipe pieces at the bottom. 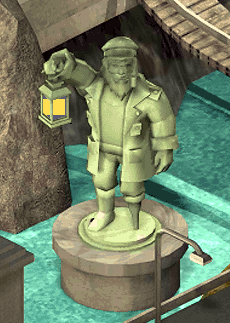 The statue at the dam is only partially visible, most of the body and the lantern is never seen. There are two additional skin tones which can not be selected. A red one and a green one. 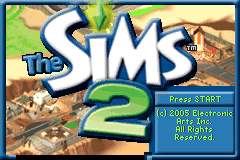 They were used in the previous game, The Urbz: Sims in the City, by using the Bod-Mod Booth. In fact, there are a total of 256 skin tones! (1 byte in memory) Most palettes up to 57 look decent as a skin color, even though they were probably never intended to be used as such. Could be an early minigames menu. 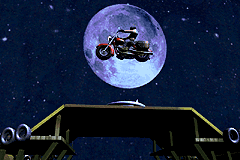 A cutscene of Dusty Hogg on his motorcycle jumping over a shark pool.This is a reference to the Happy Days episode "Hollywood, Part 3," where the character Fonzie jumps over a confined tiger shark while riding on water-skis. Since then, the phrase "jumping the shark" has been used in the public lexicon to denote the moment where a series' writers have run out of ideas, or to denote that the series as a whole is declining in quality. 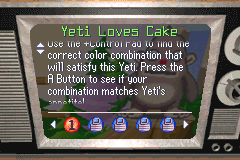 A minigame called Yeti Loves Cake, it is not playable. It must have been an early or special version of Bigfoot Love Chickens, as the description is the same except for Bigfoot being replaced with Yeti. Ian Stocker (one of the two known composers) released, showcasing his early versions of music pre-resequencing into an format for the GBA/DS. This is his description: All songs were made with Jeskola Buzz, my weapon of choice in the mid-2000's for full production music, before I switched over to Renoise. 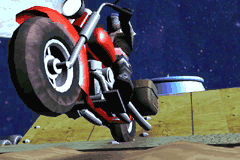 This page was last modified on 21 April 2019, at 08:11.